The 48th Fighter Wing warned about an increase in flight operations from the air base. 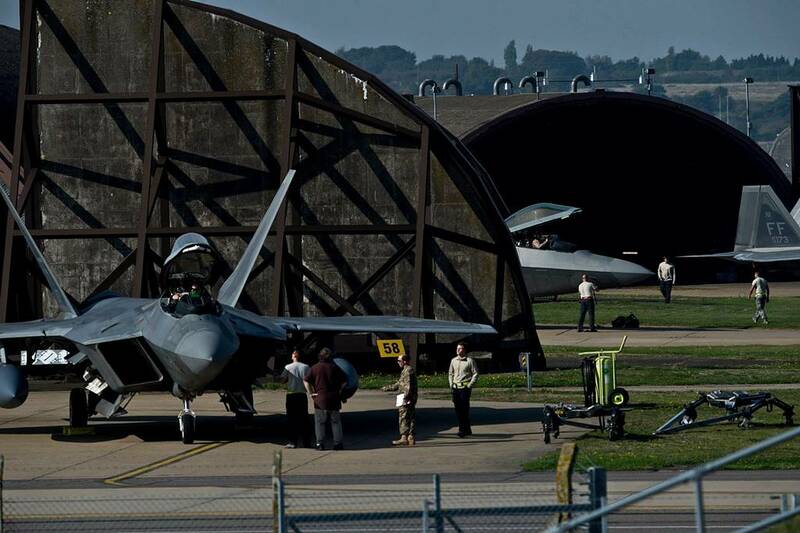 RAF Lakenheath annunces heavy flight activity throughout October. Communities in East Anglia and the surrounding areas will continue to see more jets in the sky than usual throughout October, including limited weekend takeoffs for transient aircraft. There are no plans for low-altitude or night flying in East Anglia during this period. The increase in activity will result from flying exercises with visiting F-22 Raptors assigned to the 1st Fighter Wing, out of Langley Air Force Base, Va., U.S. Navy F/A-18 Super Hornets assigned to Strike Fighter Squadron 11 out of Naval Air Station Oceana, Va., and our NATO Allies, as well as aircraft transiting through RAF Lakenheath on their way to final destinations around the globe. As one of U.S. Air Forces in Europe - Air Forces Africa main operating bases, RAF Lakenheath serves as an important way station for transient aircraft. In some instances, operational requirements necessitate departures outside of the normal Monday through Friday flying schedule.